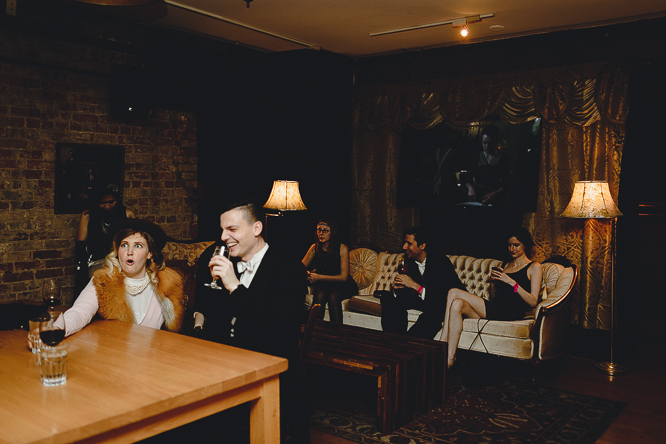 The New Year Eve countdown at the Gladstone is an unique, must-go spot for those of you who're into fun themed parties with an artistic crowd. Everybody dressed as they're in the Roaring Twenties in the Lower West Side. The Gladstone Hotel itself is a historical 19th century Victorian building with lots of characters. 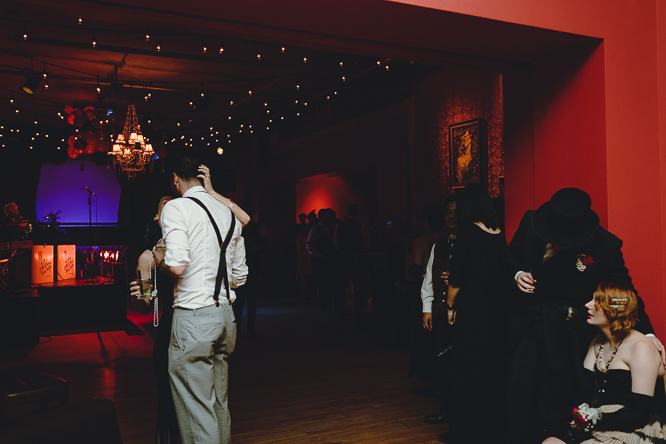 This night, the unique venue is dressed up in vintage and classic designs. The fun, hipster crowd come in nostalgic yet trendy costumes. Don't think this is only for party animals in their early twenties. Some of the best dressed guests are in their 50s and 60s. Who says there's an age limit for being playful. This is the work hard, play hard crowd. The living life to its fullest crowd. I enjoy a lot making documentary, candid pictures at this amazing party with photojournalistic eyes. 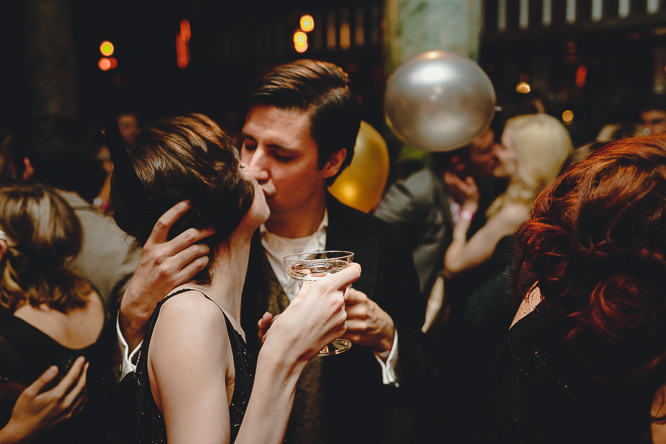 As I'm photographing the NYE party, I fall more in love with this intimate venue. It makes an unique small wedding venue in downtown Toronto. It's a one of a kind space in the core urban area. The artist-designed hotel rooms upstairs also make the perfect space for getting ready photos. I know that the Gladstone hosts intimate weddings and I have to yet to finally photograph a wedding here. Inside out, The Gladstone has a lot of potential for photography for a wedding day. Urban brides and hipster grooms or just any couple who are throwing an intimate wedding and are looking for a local, unique wedding venue should definitely take a look at the Gladstone. If you end up choosing this venue, I wish I will be there to document it. I promise to make the most out of your special day. xoxo.